There are sport headphones and there are sport headphones. Running with a hulking great pair of cans isn’t comfy. You could say it’d be a non-starter. Getting on a treadmill at the gym with ear gear that isn’t sweat-proof won’t work either. So what makes a good pair of cans for fitness fanatics and sporty types? This crossed my mind as I unboxed JBL’s Reflect Contour in-ear wireless cans. They’re clearly aimed at those who want tunage while working out – even the box has a sweaty athlete on its front. So, are the Reflect Contours good for sporty types? What factors should figure in sporty ear gear? Without stating the obvious, they must sound good. What’s the point of working up a sweat if the audio being pumped into your noggin sounds like one of Don Brash’s Nana Mouskouri LPs? 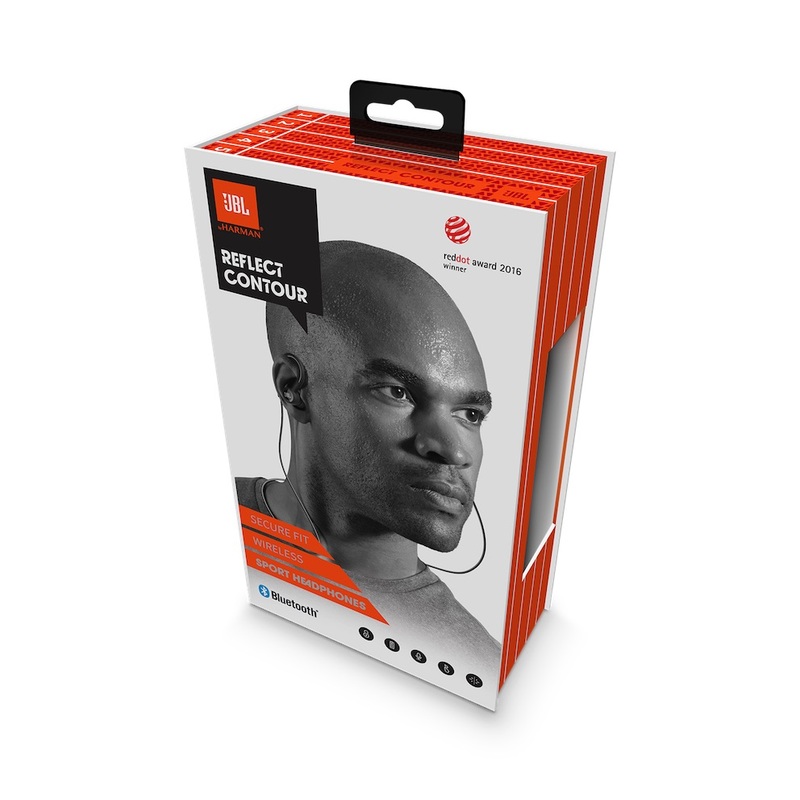 Then there’s the fit: If you’re sprinting down the street, your in-ear gear needs to be comfy and, equally importantly, stay put. 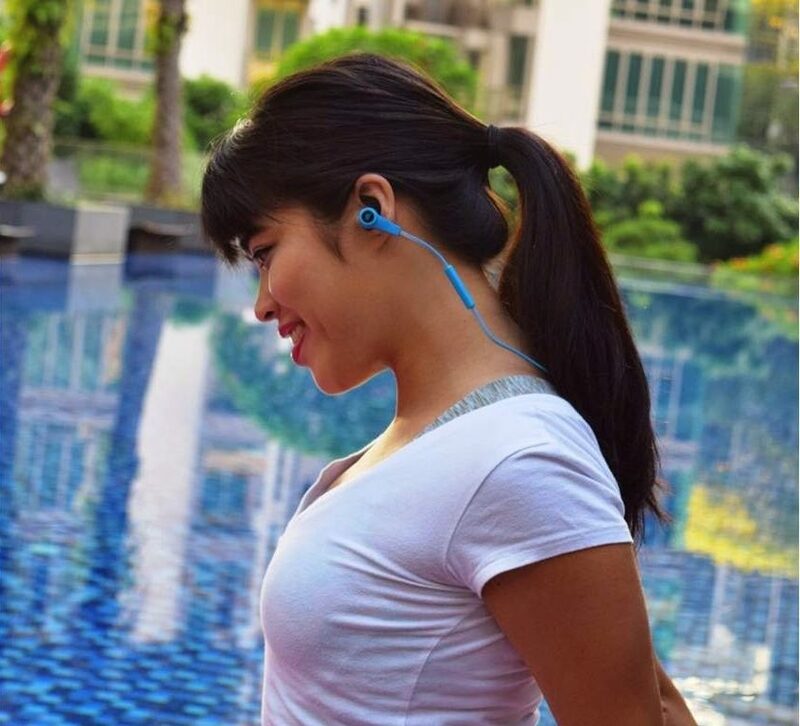 Losing earbuds on a run quickly gets expensive and there’s nothing quite as uncomfortable as sweat-chaffed ears! Last (but by no means least!) they need to be durable. If you’re working up a sweat, you don’t want it to kill costly cans. 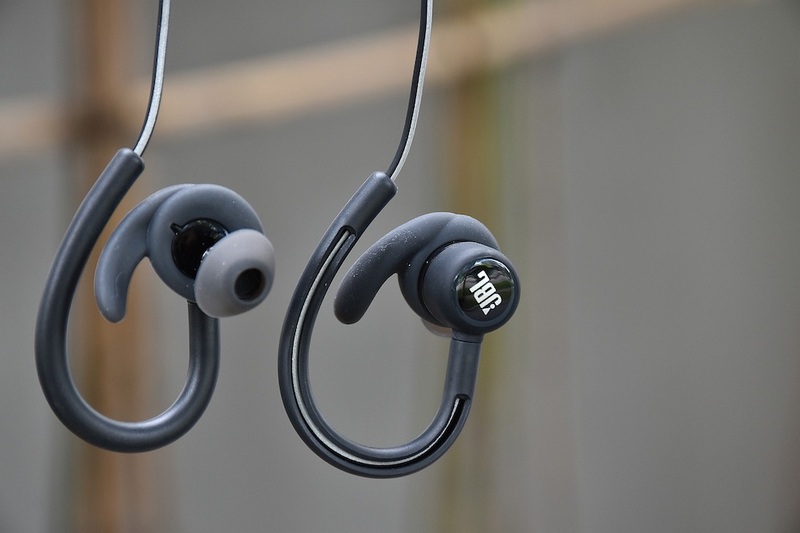 So, the $98.99 question is this: Do JBL’s Reflect Contour wireless in-ear buds make the cut for sporty types and fitness fanatics? Fit-wise, the Reflect Contours are a winner. Three different sized tips let me choose a Goldilocks-like fit (not too big, not too small). While I wasn’t planning on doing somersaults in a Wellington southerly to see if they’d pop out, the pleasing thing is that I could do so knowing that these bad boys have no intention of coming off. This is thanks to what JBL call Dual Lock Technology. In non-marketing English, it translates into sensibly designed tips and ear hooks that keep the Reflects snugly in place. If anything, the Reflects almost felt too firmly stuck in my lugs, to the point where it felt almost as if I’d put a suction plunger on my ears. It wasn’t uncomfortable, but I always knew I was wearing them. One side benefit of this was that they also offered superb sound isolation. Speaking of sound, my initially low expectations were handily exceeded by the Contour Reflects. Bass is never going to be a big thing with a pair of in-ear cans, but I was still pleasantly surprised at what the Reflects delivered. A trap a lot of earbud makers fall into is unbalanced mids and highs. In use, this wasn’t a biggie. In fact, the middle and upper end of the audio spectrum were well represented, which in combination with the surprisingly good bass made for some pretty fat, punchy sounds that were well rounded, but not too crisp or too shrill. A2DP support doubtlessly helped a lot, but the upshot is that in the audio department, there’s plenty on offer. They’re also sweat-proof. While I am never going to join a gym, in the spirit of delivering a complete review, I worked up a serious sweat. This was achieved by me ripping open chip bags as well as pouring and consuming pints. During this, the audio goodness delivered by the Reflects kept on coming. I could have kept this up for a very long time – not because I am particularly adept at chip packet opening and downing pints (although practice does make perfect! ), but because the Reflects ran for just over 10 hours before they needed time with their bundled charging cable and a charger. This is impressive given most wireless in-ear headphones typically deliver just over half that before conking out. They also charge fast too – 10 minutes of charging delivered around an hour of listening. Another nifty feature I discovered by accident that there was support for Android Assistant. It allowed me to initiate calls by saying “OK Google call XYZ”. It’s a good bet that Siri is supported too. Another nice feature is the cable that connects the left and right buds – it’s reflective (hence the model name), providing a small measure of additional safety if out running at night. Priced at a pocket pleasing $98.99, there’s a lot to like about the Reflect Contours. Reasonable sticker price aside, they check all the boxes you’re ever likely to need in terms their suitability for sporty/fitness types. Most important of all, they delivered solid audio, too. Connection: Micro USB cable for rapid charge.